Six years ago when the first season of the Indian Premier League was launched I was not just skeptical, I was a vehement and vociferous opponent of this T20 league. Back then I was a cricket purist. A conservative cricket fan who stuck steadfast by the old ways and rules. Test cricket was the holy grail of cricket, the true test of a player's skill and mettle. The One Day International was the perfect length for a pulse pounding, thrill serving, fast paced cricket action. It was just the right size. Cutting it shorter would be bloody murder and would ruin the game. 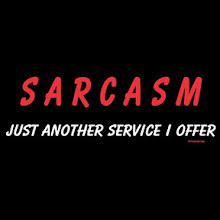 Besides, who needs professional sports franchises and leagues? We are the blue billion. We're supposed to don our blues and cheer for Team India. We're supposed to bleed blue and nothing else. The Aussies, the Pommies, the Pakkies, the Windies - they were opponents, not heroes we should cheer for. To waver from this path of blue devotion would be sacrilegious and treason of the highest order. Had it been my way, I would have courts-martial every single IPL supporter screaming "off with their heads"
Now six years down the road, it is a different story. Or shall we say, I'm dancing to the tunes of a whole different ball game. 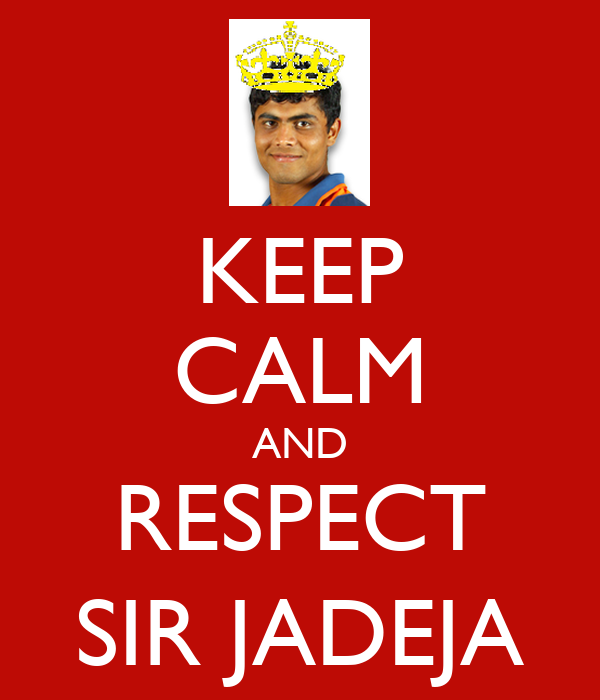 Not only have I changed and learned to see the positive side of IPL, I've become a passionate fan. Now every morning I have the scorecard open in a window, so I can follow each game. On weekends I flip on the TV to catch games. I'm part of a fantasy league and will spring out of bed at 5 AM to update my league team. So what is it exactly about IPL that made me fall in love with it so much? How did a cricket purist learn to give up stubborn old ways and embrace change? My greatest fear about IPL was that it would become a batsman's game. Just twenty overs with the goal of making as many runs as possible. Just twenty overs and no real break down between opening, middle and death. Just twenty overs with no need to build or pace an innings. Changes in field restrictions had changed One day internationals. The first fifteen and final ten saw brutal onslaughts by batsmen. Batsmen with brute power to clear boundaries were in vogue. Bowlers were being reduced to mere ball tossers to keep a game going. With T20 cricket I was convinced that bowlers would be reduced to accessories, like the machines in baseball batting cages. But that is not the case. Bowlers adapted to the game too. In fact the bowlers managed to reclaim their lost glory. Dot balls and maiden overs that were just a good accomplishments, became rare and precious. Runs, oh they would come, but a bowler who can bowl dot balls - that was a magical gift. And wickets, if one could take wickets - they wouldn't just be heroes, they would be immortals. The IPL saw bowlers like Dale Steyn, Sunil Narine and Lasith Malinga getting their due glory and honors, that one day international just didn't give. Another fear was that the art of batting would be lost. It is one thing to hit a brutal six. Big sixes thumped across the ground make the audience jump up with joy and liven up the game. Batsmen who whack the ball around are really popular. But the greatest thrill, excitement and beauty in cricket is in elegance. Batting that isn't just part of a game but a skilled craft. Where batsmen are not mere sportsmen but artists, creating masterpieces with their stroke play. Like the music of the crisp thwack of the ball as Tendulkar hits a sweetly timed cover drive. Or the mind boggling wrist work of VVS Laxman who manages to pierce the ball into a narrow gap. I thought this craftsmanship would become a lost art. But the elegant craftsmen evolved with the game. The thing is the brutal exciting big hitters are unpredictable and erratic. They fail too often. Their lack of precision craft and artistry is their undoing. The true elegant artists, they are a class apart. They can score and perform in any setting. The elegant batsmen learned to combine their artistry with the need of the game. There were more cover drives, more pierced boundaries and a new breed of hard thwacks that weren't just brutal slogs, but genius at work. Every time a cricket legend retires, we mourn at the loss of a great hero. Sometimes, it feels like Olympus has lost another God. They fade into oblivion. Perhaps they are no longer young enough to represent their country. Perhaps they are no longer lean, mean and fit and have to concede their places to the next generation. But they still have plenty of game left in them. They can still play pro sport leagues. They still can mentor the next generation without compromising country. I'm a Sachin Tendulkar fanatic and nothing is more pleasing that seeing Sachin score in the condensed T20 version of the game. However, the real beauty of vintage cricket is seeing someone like Rahul Dravid play. Man he was the most technically sound cricketer of all times. His slow scoring often made him highly underrated. But if there is any sportsman in any sport who has true spirit and grit, it is Rahul Dravid. Despite being well past his prime he adapted to T20. To watch him play strokes is like dying and waking in heaven. Not only does he represent everything that is beautiful and good about vintage cricket, he proves that Gods can never fall - they simply rise to another level. In a country of one billion people, making it to the national team is nothing short of a miracle. You can't just be good, you have to be exceptional. And with politics, corruption added to the mix of probability - dozens of exceptional players never get their due. We build gods like Sachin, Dravid and Ganguly - but other heroes just lie in the corner waiting. The local interstate tournaments simply don't hold the magic. But now with the IPL and the rule for every team to have one uncapped player gives everyone a chance to be a hero. Take the likes of Ambati Rayudu, Sachin Baby, Srikkanth Aniruddha, Stuart Binny, Manvinder Bisla and many more who never had the chance to don Indian colors but became IPL heroes. It is not just for the uncapped. So many players make it to team India, but don't sustain. Rather than fading into oblivion IPL gives them a second chance to shine. Parthiv Patel, Laxmipathy Balaji, Ashish Nehra, Dinesh Karthik - so many made it to team India and faded unceremoniously. But now in IPL they become heroes again. For the longest time I thought bleeding blue was sufficient. National pride was the only thing that mattered. Anything else was too commercial, hollow and fake. But it was upon living over ten years in Wisconsin that I realized how important it is to have something more. National pride is great, but there is value to regional pride as well. There is something magical about our obsession with the Green Bay Packers. Even the Milwaukee Brewers, even though they don't win often, have an aura of pride, spirit and magic around them. Whenever I step into a sports bar and see throngs of people cheering loudly for the Packers, noisily slamming high fives and fist bumps over touch downs - I realize that my like in India lacked something like the Packers. A while back our state was fragmented, shattered and divided over political lines. It was desperate and despairing. But despite our differences we had a glue that kept us together - our love for beer, brats and cheese and the Green Bay Packers. It made me wonder, what if we had something more than just team India growing up. What if there was something local, something our own, something that kept us together like glue when things fell apart. And for me and Mumbai - I think Mumbai Indians are the answer. There is just an obsessive passion with pro sports leagues that is unlike any other. Sydneygate was an ugly ugly incident. It was the lowest low in the history of cricket. It was something worse than Bodyline. There was bitterness far deeper than the ashes. There were tensions that were racial, national and many other things. The whole affair was tragic and not quite cricket. It would seem that cricket was losing it's sheen as the gentleman's game. This was no longer a game of honorable gentlemen. It was now a game of sledging, oneupmanship and degenerating mind games. The spirit of cricket was dying. Me and many Indians like me loathed Ricky Ponting for being the swordsman who bled it to death. But look at all of us now cheering for a marriage definitely not made in heaven. 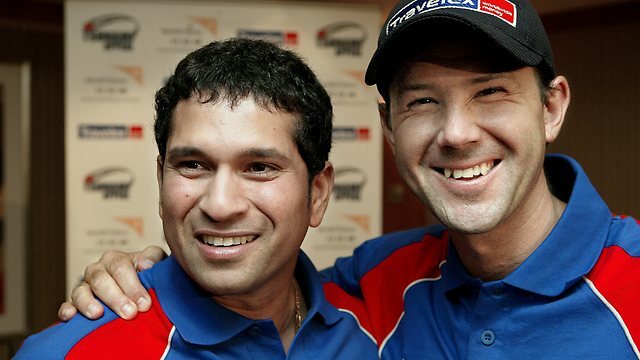 The highly unlikely and juxtaposed couple of Pondulkar (Ricky Ponting and Sachin Tendulkar). Look at all of us smiling in glee at the thought of two legends walking out together making each ground they set foot upon hallowed. Look at our hopes and excitements even when they fail. Look at us smile fondly at Harbhajan Singh warmly embracing Ricky Ponting after the flying Ricky snatches a catch out of thin air. Truly cricket has a healing element that erases boundaries and builds bridges. IPL has had this uncanny way of making the unlikely take place. Cricket is whole again and the spirit of cricket lives. There are still the school boy fights, the dirty words and stares, the frequent scuffles. But once again the game is greater than the player. Each player now seems to be humbled and aware of the irony - opponent today, teammate tomorrow. Its given them a new found respect for team work and sportsmanship. It isn't just the power of Pondulkar. Bangalore cheers for Chris Gayle while Mumbai adores its lovable giant Kieron Pollard. Rajasthani's root for Watto and the Punjabis chant for Gilly. Dale Steyn is an everyday Indian hero. We all want Malinga to slinga and Murali to play his spinning tunes. We act as if the Hussey brothers and the Morkel brothers were products of our own backyards. India used to not be that way. Even though we appreciated the likes of Brian Lara, the Waugh Brothers, Alan Donald etc - we never truly fell in love with them. Now we don't just cheer for them, we're irrevocably in love. And while that is seemingly inconsequential, there is something alluring and enchanting about these affairs we never dared to have. Now if only our neighbors Pakistan would be allowed to play. Sleeping with the enemy would surely be an affair to remember. 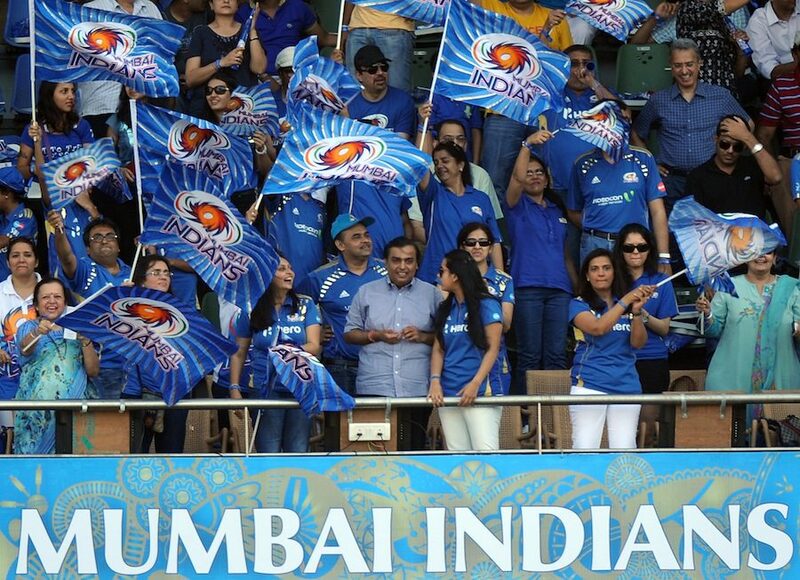 No matter how many jokes people may make about Nita Ambani, I cannot help but smile and feel a sense of pride when I see her waving the flag of the Mumbai Indians. What you see in the IPL is something you don't see in any pro sports league around the world - women in charge. Although the Mumbai Indians is owned by the Reliance Group, Mukesh Amabani's wife Nita Ambani is the Chief Executive off the team. In essence she is the boss/owner that all the players, coaches and staff report to. You see her talking to players, giving them advice and pep talk. You have legends like Tendulkar and Ponting talk to her like an equal. It is not just her. Everyone remembers the images of Preity Zinta and Yuvraj Singh at the first IPL. Shilpa Shetty is a fixture at every Rajasthan Royals games. While most pro sports leagues tend to be an old boys club, the IPL certainly has its share of women who play a role and make a difference. With the case of Nita Ambani, it isn't just promotion and merchandising. She uses the commercial firepower of IPL cricket to fuel her charities and her drive to make education accessible to all underprivileged Indian children. Cricket has its own Chuck Norris and humor. IPL just takes it to a whole new fun level.